GEMINI® software is comprehensive and powerful, yet easy to learn and use. GEMINI® uses the latest Microsoft® Windows & SQL Server technology for stability, security and quick response on your own Server or in the Cloud – your choice. 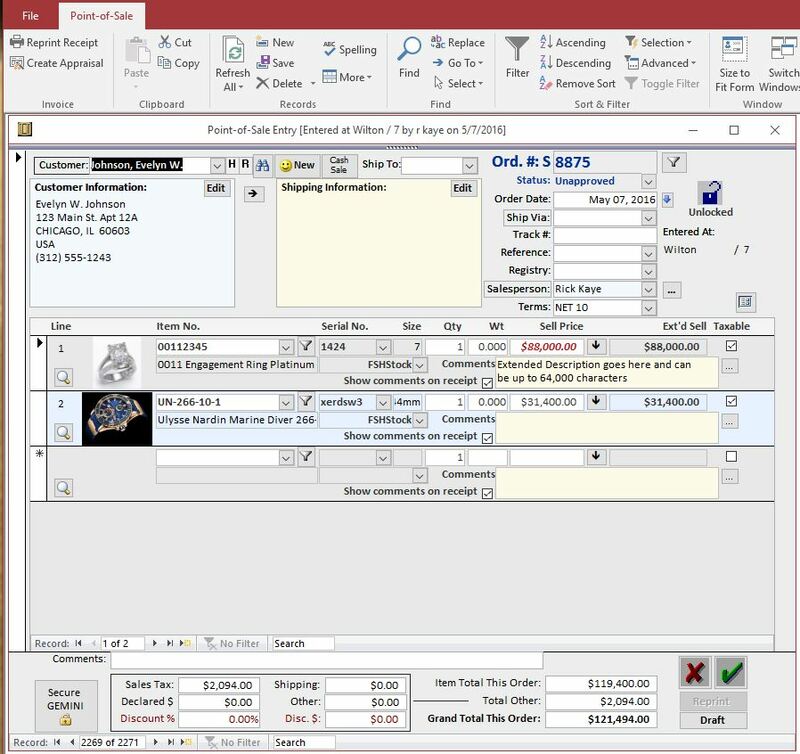 A Complete Jewelry Management System to control all aspects of Products, Inventory, Customers, Vendors, Sales, Orders, Repairs, Manufacturing, Purchasing, Appraisals, and Memos. Know and Reach your Customers thru extensive CRM and Clienteling tools. Easy to use Point of Sale, Special Orders, Repairs, Layaways, Credits with imaging, split commissions, discounting. Job bags are automatically created with bar coding and imaging. Quickly Recall existing orders for shipping or pickup. Complete Memo Management In & Out. Metrics Screen graphically shows vital Key Performance Indicators. View sales for history with prior year comparison. Buy Smarter, Sell Smarter using GEMINI’s Advanced Analytics; shows management Inventory Valuation, Turns, Aging, Top Sellers, Slow Movers. 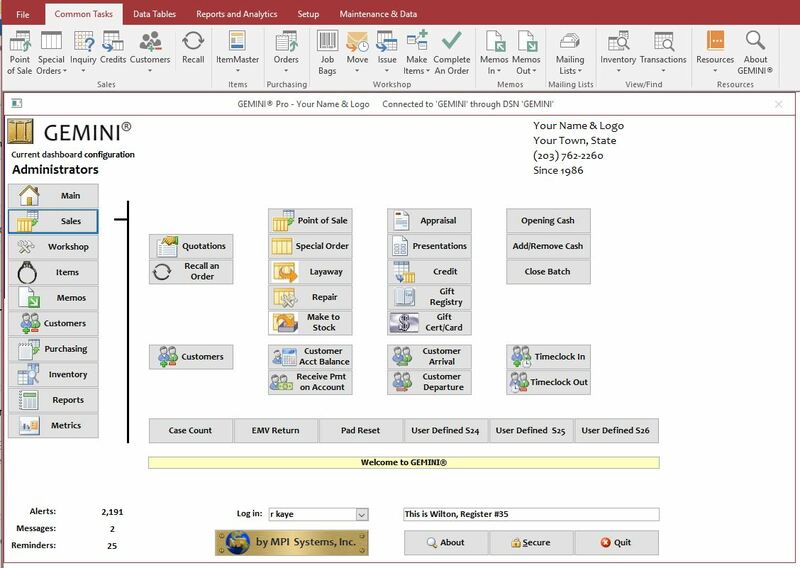 Hundreds of Reports with easy filtering and instant drill down to details. *Requires merchant account with Mercury Payment Systems. **Dino-lite camera sold separately. MPI is a Dino-lite authorized reseller. Complete multi-location inventory for diamonds, jewelry, settings, workshop materials, giftware, etc. Design and Print letters, labels, etc. Sales for yesterday, today, last week, month to date, year to date with prior year comparison and drill down. Monthly sales by Location, Brand, Type, or Class with prior year comparison. Full Color Graphing make spotting trends easy. ***QuickBooks™ and other accounting systems sold separately.